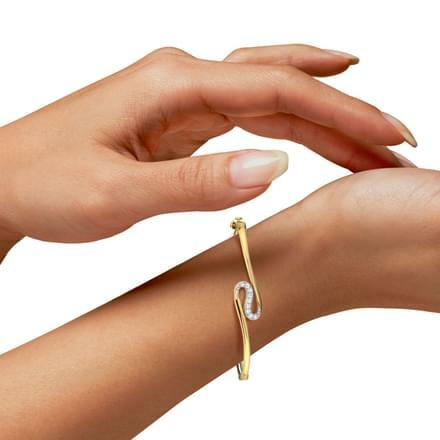 Prompting women to listen to their heart, an array of gold bangles is enlisted online. 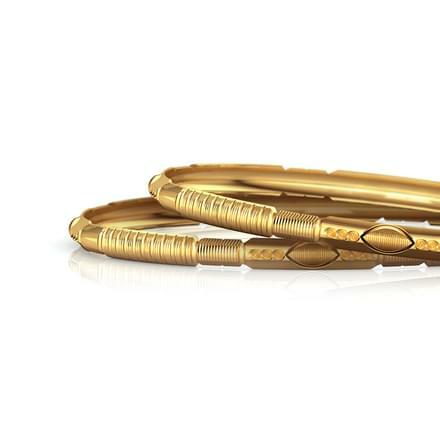 Making them the indispensable ornaments worn during weddings and other celebrations, the popularity of thin gold bangles is demonstrated in the form of simple accessories capable of adding multiple sparkles to an ensemble. 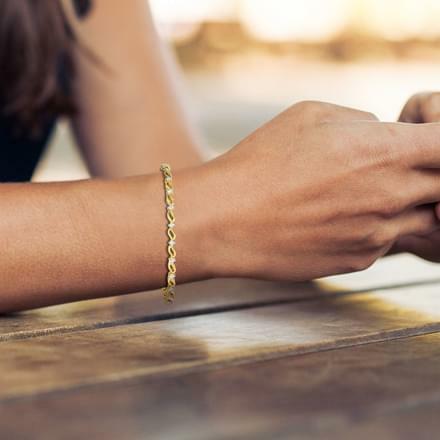 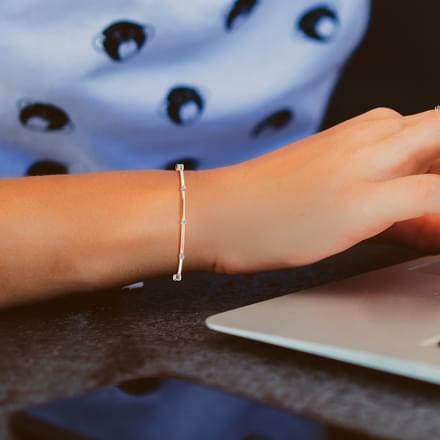 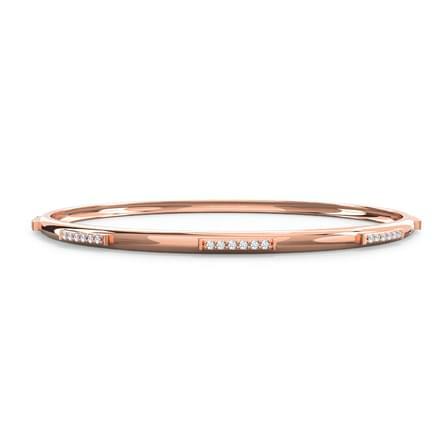 CaratLane, the online jewellery shopping interface enlists an impressive array of thin gold bangle designs that can be worn for various occasions. 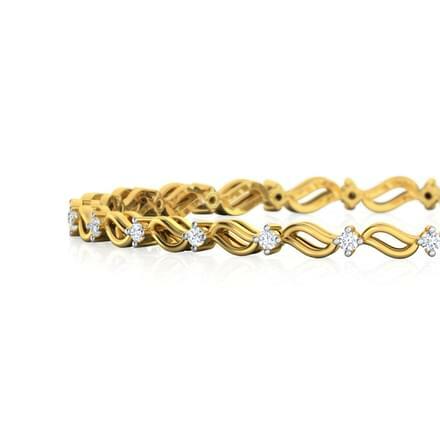 A lavish wedding does not echo the melodious and clinking sounds of thin gold bangles worn by the bride or guests in general. 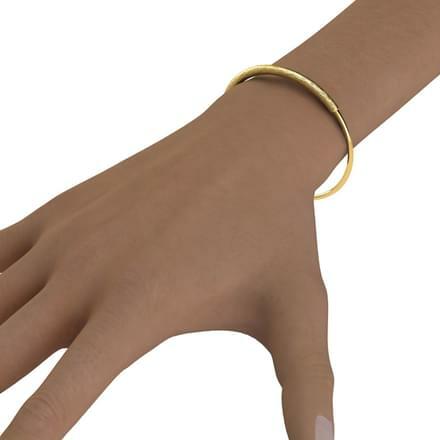 Becoming typical ornaments that can be gifted, an assortment of affordable gold jewellery in the form of thin gold bangles are all set to infuse a humane touch to ornaments, thereby immortalizing them as precious jewellery for life. 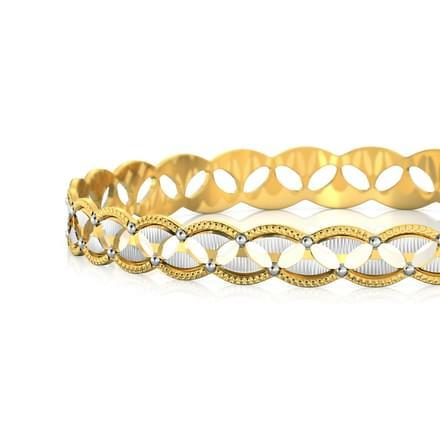 Gold has its two prominent tones of yellow and rose as the variants that are used to churn out these wondrous wrist embellishments. 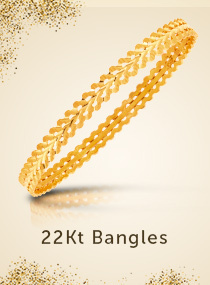 22K gold thin bangles sporting the rich yellow tinge is the purest form of gold jewellery for women, followed by 18K thin gold bangles which are equally stunning. 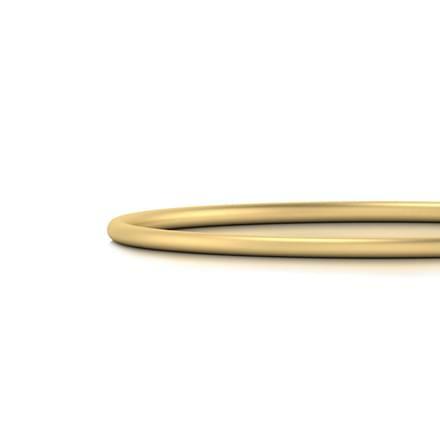 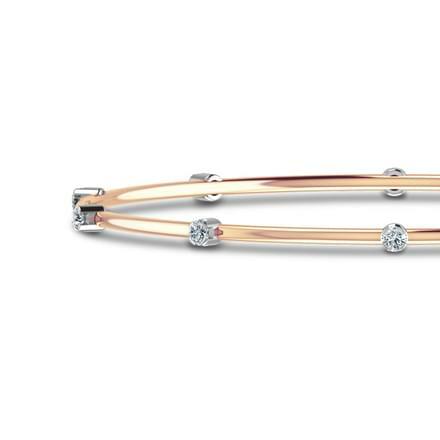 Women with a penchant for the rose tinge have dual options in the form of 18K and 14K rose gold thin bangle. 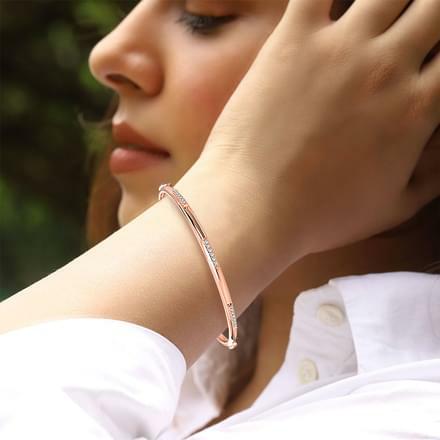 Indulge in the “Enchanted” collection of thin bangles design portraying the exclusive sheen of rose gold accompanied by an intricate filigree work. 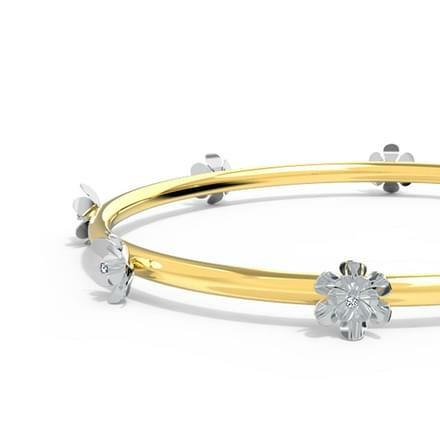 With the convenience of bangles online, a simple click is all that is needed for women to make their choicest jewellery purchases, be it for their wedding or for daily use. 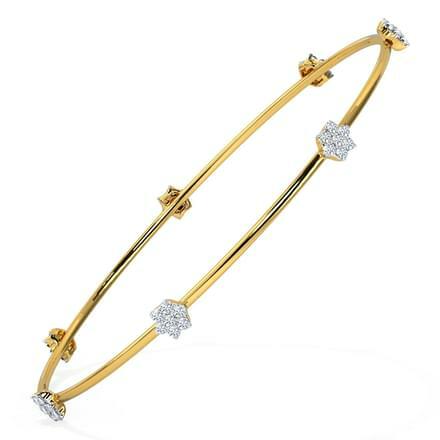 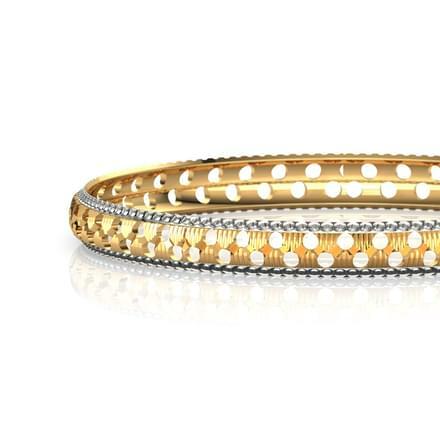 The Iha Glitter Gold Bangle sporting a wavy assembly of diamonds is a thin gold bangle which can be worn for weddings. 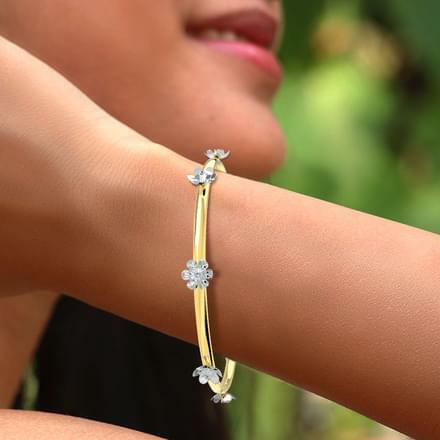 Along with these two categories, adorning your wrist with a single thin gold bangle bracelet like the Aruvi Crafted Gold Bangle can become your first choice for party accessories. 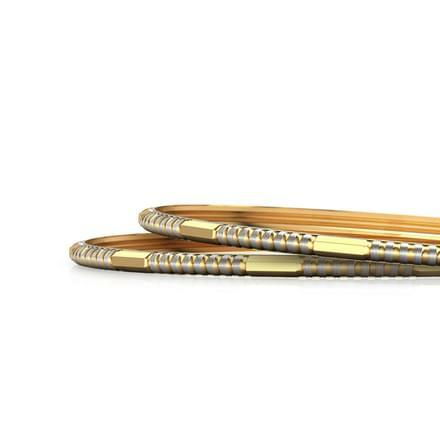 The Traditional theme arrays a striking assortment of thin bangles made in gold like the 22K yellow gold Asya Wave Gold Bangle and the oval shaped Hiza Floral Gold Bangle. 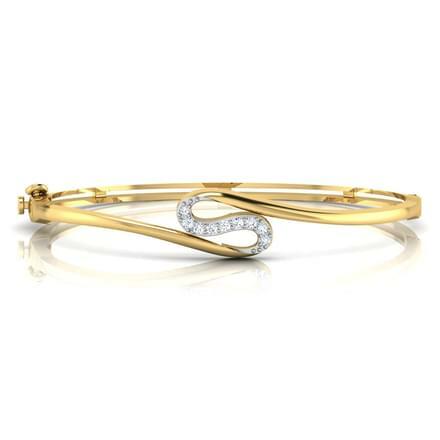 The Designer collection introduces you to the brilliance of a rope design bordered with the glitter of gold etchings, named Anisha Milligrain Gold Bangle. 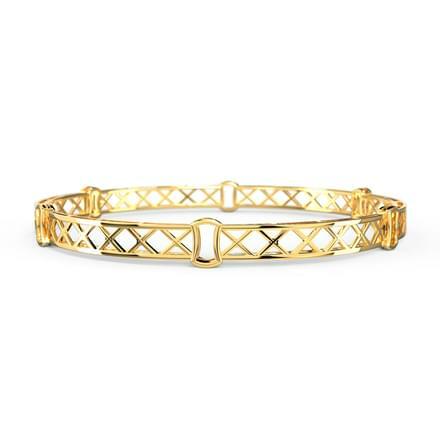 The love for unique designs can be satiated through perfectly carved Geometrical thin gold bangles. 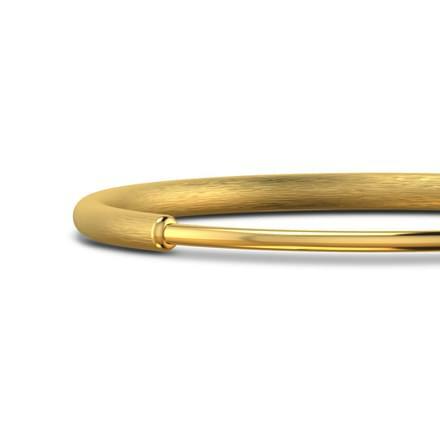 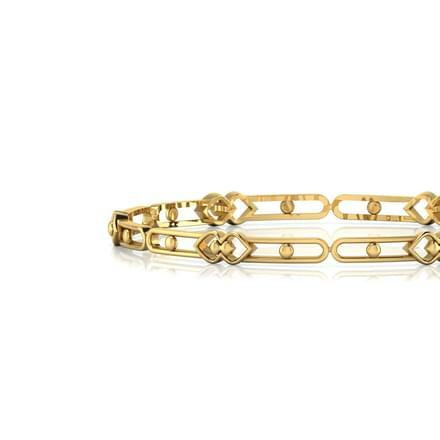 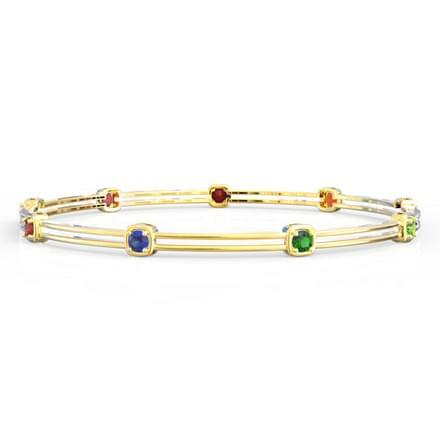 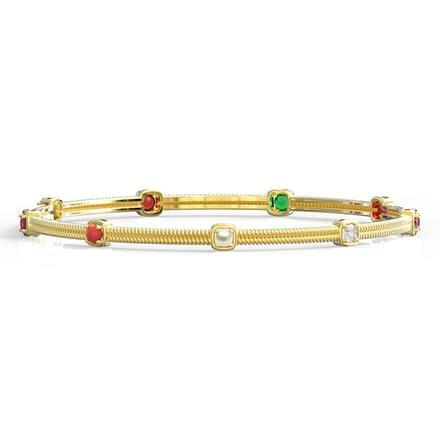 Made from 22K yellow gold, the Gold Nugget Bangle is sure to make heads turn at any gathering. 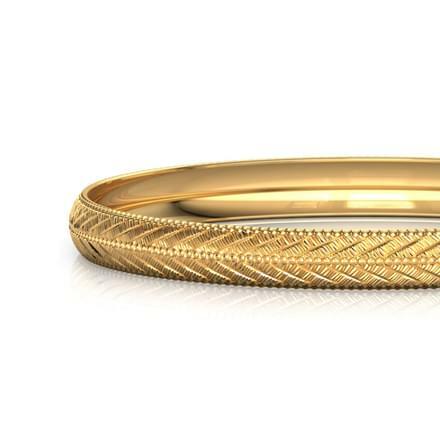 The Arni Braided Gold Bangle is an apt display of sophistication coupled with a lively representation of etched leaves. 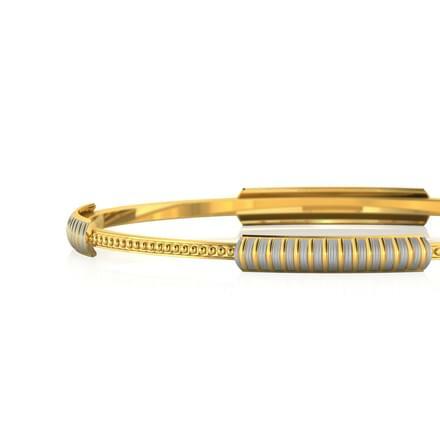 The Half Moon Bangle demands a special mention featuring an easy to wear pull and lock mechanism. 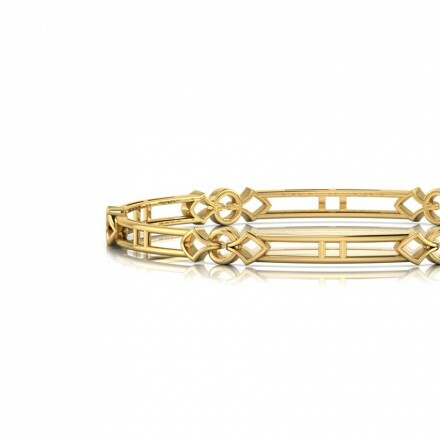 The Chloe Criss-Cross Bangle is another promising entry in the online festive collection of thin gold bangles. 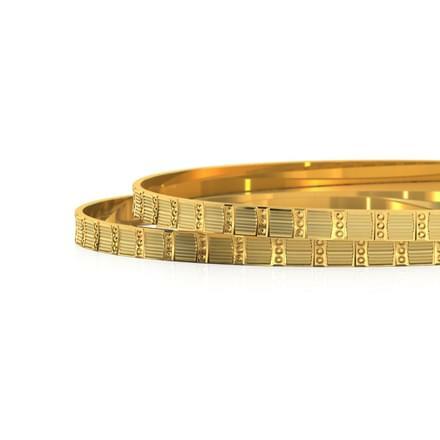 Prompting one to choose thin gold bangle designs that mirror their personalities, CaratLane is the benefactor of modern jewellery through a plethora of modern thin gold bangle collections. 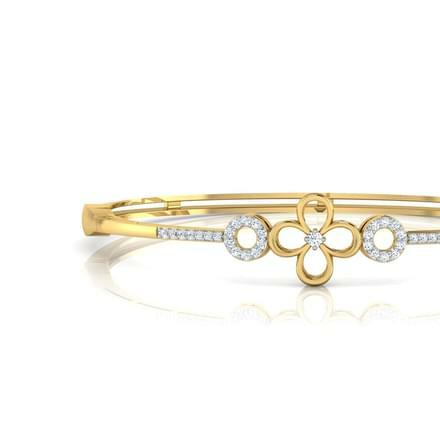 A simple click is all that is needed to do away with the physical strain of scouting for bangles designs latest. 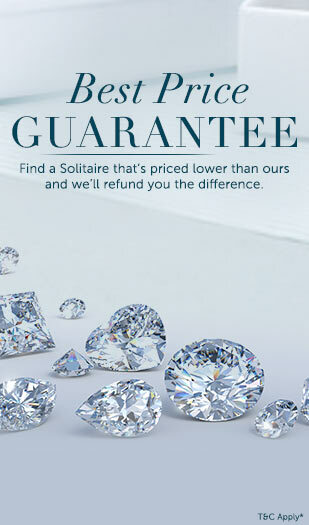 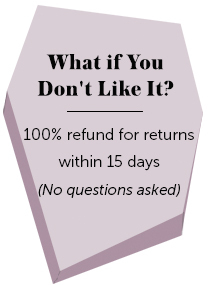 CaratLane makes the payment process easier by accepting debit/credit cards, net banking and fund transfer.